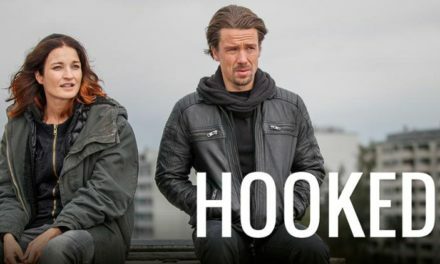 Our current favorite foreign TV series on Netflix is a wild ride through crime and corruption in contemporary Rome with rival families and individuals competing for power, both political and personal. Suburra: Blood on Rome is the first TV series from Italy advertised as a Netflix original. The promo material touting three young crooks and Italian gangs didn’t do much to peak our interest, but we decided to give it a try. Though the netTVwatch team stayed glued to the screen from the first minute to the closing credits, Suburra is not for everyone. It’s a love it or hate it kind of TV show. The first scene is too much for some viewers. We suggest you stick with it, and, if you’re at all intrigued after the next few minutes, stay on board. It gets much better as the main characters are all introduced and you figure out who is who. 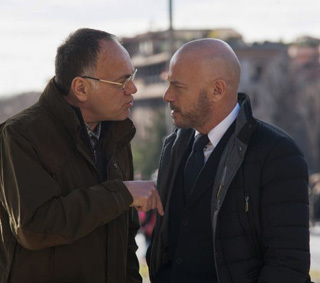 Aureliano (Alesandro Borghi) is a young man in a crime family. His father holds reign over much of the local drug trade and has ambitions to expand. Aureliano rebels against his father and older sister with his own schemes to make it big. Likewise, Spadino (Giacomo Ferrara) is a young man in a rival crime family that happens to be gypsy (Romani). His older brother holds reign over a small part of the local drug trade, but has ambitions to expand. An arranged marriage pairs Spadino with a young woman from another small-time crime family as part of the expansion plan. Spadino rebels against his brother with his own schemes to make it big. Lele (Eduardo Valdarnini) is the son of a cop. He’s supposed to be in college, but is dealing drugs instead. Having dealt on someone else’s turf, he now owes money to Samurai (Francesco Acquaroli), a crime boss who administers much of the drug trade in Rome. Lele is short on cash and needs to raise some fast. You can see that Aureliano, Spadino, and Lele have something in common. Circumstances bring them together and they form an awkward, testy alliance. An administrator for the vatican, a fallen priest, a city councilman, and Samurai all come into play as part of a land deal for two parcels in Ostia, which is on the coast just outside of Rome. In Suburra, the women are beautiful, and the men are jerks. It’s a patriarchal culture, but the women scheme just as much as the men while holding much of the important power. The three featured men at the center of the show are young and brash, each different, but equally ambitious in their own way. Suburra’s plot is complex. The basics are simple, but everyone is after their own self interest. It leads to shifting alliances, backstabbing, double crossing, and heartache. You may find yourself on a character’s side in one scene – eventually, sympathizing with the young punks – while denouncing their behavior in the next. Suburra makes effective use of the flash-forward. We talked about it in Tin Star, where it’s used inconsistently. Here, every episode begins with one. A scene peaks our interest, then jumps back to the previous day, il giorno prima. There is little time wasted with the credit sequence, Suburra moves forward quickly, efficiently. The soundtrack fits perfectly, too, a blend of Italian hip hop, electronica, and ambient sound. Visually, Suburra is rich, saturated. It longs for a big screen. Scenes are carefully staged, with rooms and vistas often set in one point perspective. The decor is as over the top as everything else, both elegant and gaudy, always interesting. Rome has a shiny veneer in Suburra. Though even run-down parts of town look clean and safe, it’s the skylines and urban vistas that show Rome at its best. Many scenes are travelogue-worthy, enticing visitors to see the sights. The daytime city scenes are nice, but at night, everything comes alive. It’s when the most important events happen. The Suburra TV series is intended as a prequel to the 2015 film, Suburra, based on a novel by Carlo Bonini and Giancarlo De Cataldo. There are 10 episodes, mostly in the 50 – 55 minute range. They go by much too fast. Is Acorn TV’s ‘Striking Out’ a Hit?